Dongying Xinxing Marine Equipment Manufacture Co.,Ltd. was established in 2013 (formerly Dongying Xinghui Precision Casting Metal Co., Ltd., founded in 2003), located in Dongying, Shandong Province. It covers an area of 20000 square meters and a building area of 9089 square meters. The total investment is 48 million yuan. 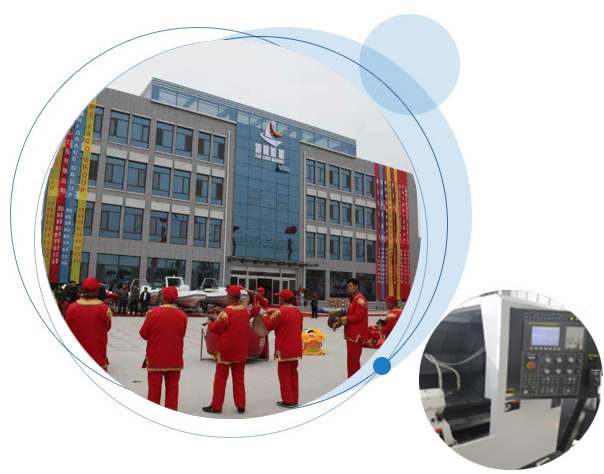 After 15 years of manufacturing and innovative breakthroughs in metal structural parts, it has developed into a new type of modern processing enterprise integrating design, casting, stamping, sheet metal, welding, machining and metal surface treatment. The existing staff of 70 people, the annual output value of 50 million yuan. The company has 15 professional R & D teams, and has rich work experience and innovative strength. The company has passed the ISO9001 management system certification and implemented strict quality control system. In 2017, the company successfully registered Madrid trademark. In 2015, it was awarded the honorary title of a scientific and technological enterprise by the Dongying municipal government. The company's various metal components are widely used in ship, construction, engineering, automobile, medical equipment and other fields. Products are exported to Europe and the United States, Southeast Asia, the Middle East, Australia and other 30 countries and regions, with its reliable quality, timely supply and perfect customer service by customers at home and abroad.